YOU DON’T NEED A LAW DEGREE TO DISPENSE STREET JUSTICE. Tina Clancy hardly has a chance to celebrate passing the bar exam when an explosion at Acme Chemical sends a noxious pink and green cloud billowing over Baltimore’s radioactive Zone. It is not as if the place was normal to begin with, but as the poisonous fumes overtake the sky, her neighbors start falling comatose—and Acme is plucking them off the streets faster than Tina and her friends can save them. Just because Tina’s a lawyer now doesn’t mean she’s going to miraculously morph into a respectable, law-abiding citizen. She once accidentally damned her own boyfriend to hell, for heaven’s sake. Now that Max is back—in the body of his evil cousin, a U.S. senator with family ties to Acme—she needs him more than ever. And what does it mean to be one of Saturn’s daughters? Tina knows she’s obligated to use her powers to save the Zone, no matter the cost, but there’s a real possibility that victory will happen over her dead body. Jamie Quaid is a pseudonym for the bestselling romance author Patricia Rice. A former CPA, she is a native of Kentucky and New York, a past resident of North Carolina, and currently resides in St. Louis, Missouri. A firm believer in happily-ever-after, she is married to her high school sweetheart and has two children. 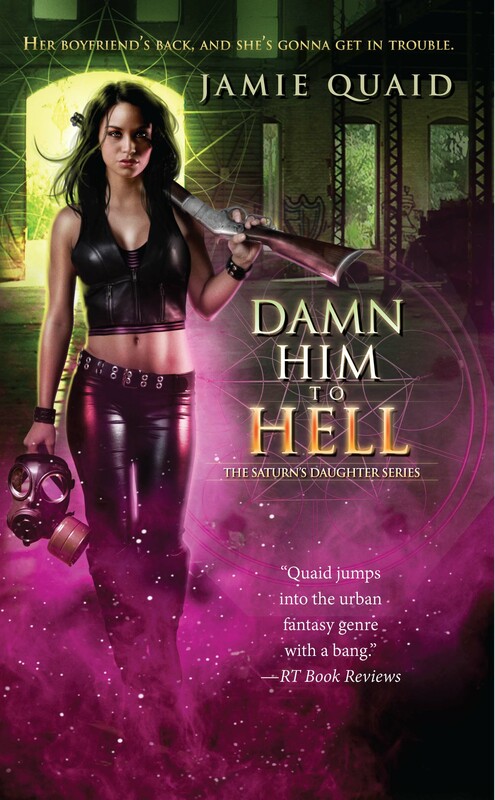 She is a member of Romance Writers of America, the Authors Guild, and Novelists, Inc. Boyfriend from Hell was her first novel under the name Jamie Quaid.